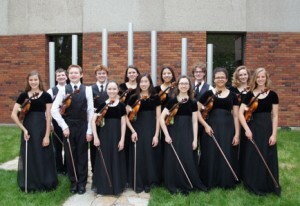 Located adjacent to downtown Minneapolis, Minnesota, Augsburg University Suzuki Talent Education (AUSTE) was founded in 1989 under the leadership of Nancy Lokken. 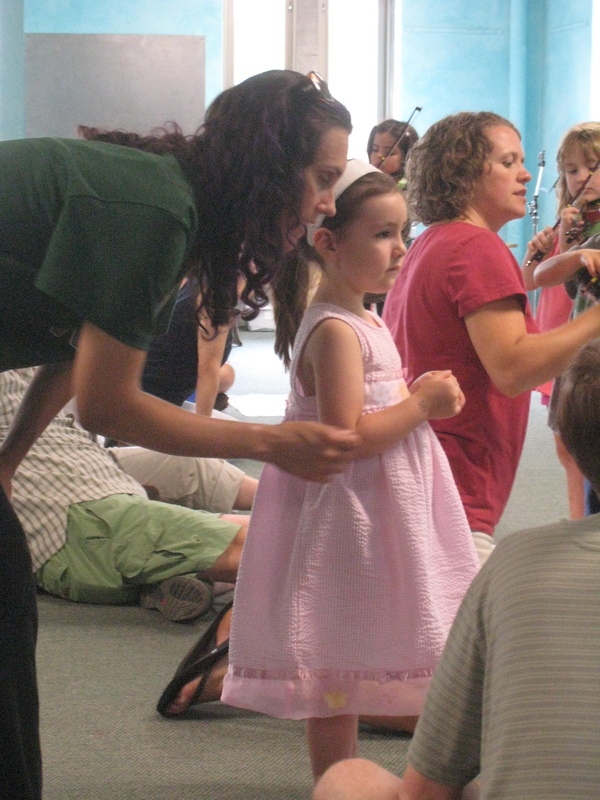 Since that beginning it has been recognized nationally and internationally for its quality of teaching, development of musicianship in performance, and the established community among the families. Teaching is centered on Shinichi Suzuki’s philosophy that “every child can be educated.” AUSTE’s enrollment of 100 students includes a range of preschool beginners to teenagers in advanced concerto repertoire. The AUSTE Parent Organization strives to support program activities which benefit the students. 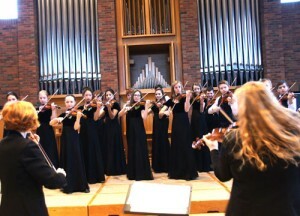 The Augsburg University Suzuki Talent Education (AUSTE) was founded in 1989 at the invitation from professors of the Music Department of Augsburg University in Minneapolis, MN. AUSTE is based out of Augsburg University, where our students have a unique experience to be on a college campus and experience the environment of higher education. With the increased growth of the program, AUSTE also uses facilities at other sites for group classes and some private lessons. The program is dedicated to maintain an environment of community and support between parents, students, and teachers and to develop each student to his or her highest potential. Children as young as three years old may begin lessons. They learn to play by using a repertoire of fine music carefully chosen by Dr. Shinichi Suzuki for the sequential development of musical and technical skills. 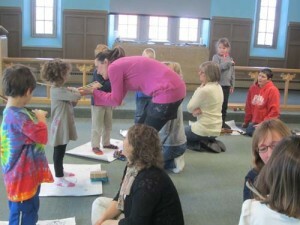 To assure success, teachers and parents guarantee that children master one step at a time. Daily parental involvement nurtures motivation. The most important single ingredient for success is the parent’s willingness to devote time to work closely with their child and teacher. Prior to beginning a child in the program, parents attend orientation sessions designed to give them a better understanding of the spirit in which learning takes place, and to enhance their understanding of the Suzuki philosophy. 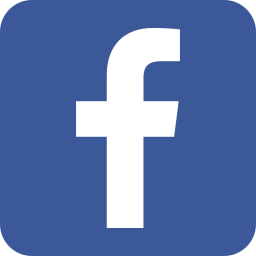 The parents of all students are united in an organization that supports the program. Shinichi Suzuki of Japan founded an educational movement based on a philosophy of respect for the child and the belief that every child can be educated. Dr. Suzuki founded this approach of teaching during World War II when he saw children suffering from the ravages of war. His main goal was to enrich their lives through the study of music. Dr. Suzuki discovered that children are capable of developing their musical abilities as well as they develop their linguistic abilities. Children learn music the way they learn to speak their native language – through listening, repetition, and a rich, nurturing environment. Through their study of music they develop many life skills, such as concentration, focus, fine motor control, self-confidence, and discipline. In addition, it is very exciting to see them develop as fine human beings. Parents support, nurture, and encourage their children to develop to their highest potential. AUSTE offers students a rich experience in music through a wide combination of activites and events. 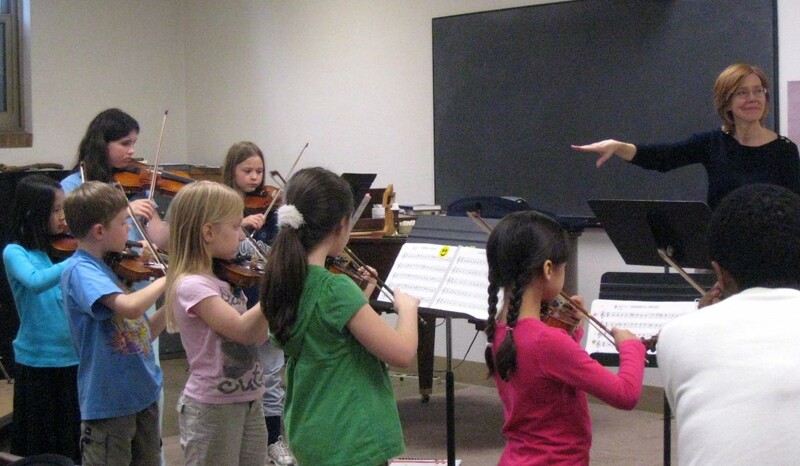 Weekly private lessons are where student’s individual skills are introduced and refined. 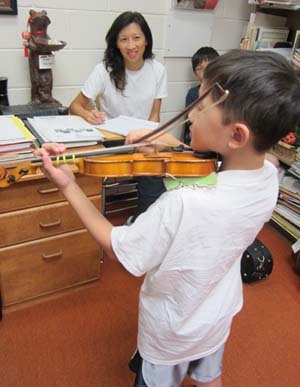 During the lesson, the parent learns how to be the “home teacher” – learning the tips and techniques to strengthen technical skills and nurture the student during home practice. Weekly group lessons reinforce the skills introduced in the private lessons. Students have the opportunity to enjoy playing music together, learn how to follow a leader, how to be a leader, and experience the art of ensemble playing. Group lessons are divided by age and book level according to the sequence of Suzuki repertoire and advanced literature. Music reading and theory are taught at the appropriate time and are an integral part of the program. These skills are introduced when a student’s playing posture is secure and the ear has developed the concept of fine tone. Then, as in all other aspects of Suzuki Education, music reading and theory are taught in small sequential steps and mastered through repetition until the student becomes a fine sight reader. Solo recitals give students the opportunity to prepare for a performance, work with an accompanist, and develop the art of stage presence. 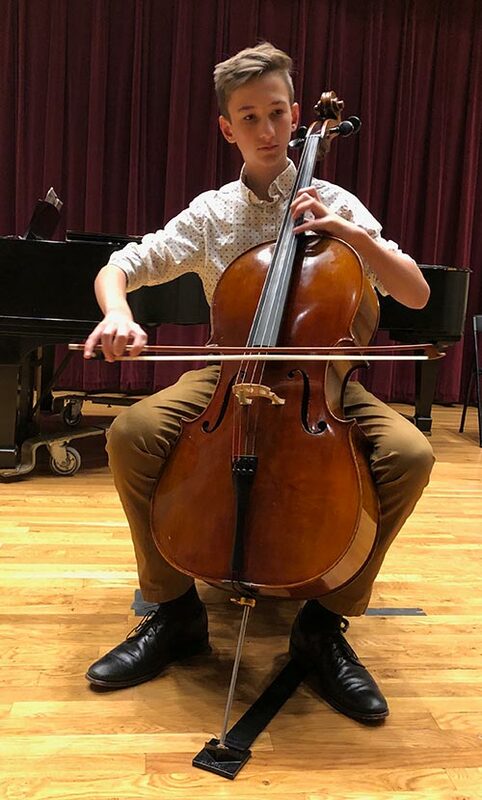 Students who have mastered a foundation for music reading will participate in String Orchestra to learn the skills of how to follow a conductor, play as a section, and increase their sight reading ability. 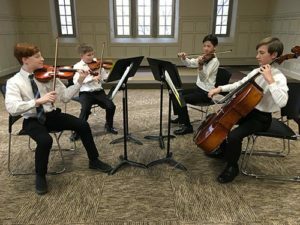 Chamber music participants work with a coach who guides them through the literature and teaches them about style, communication, and listening skills. 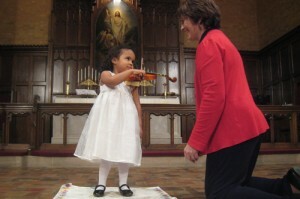 Community outreach performances provide rewarding experiences. 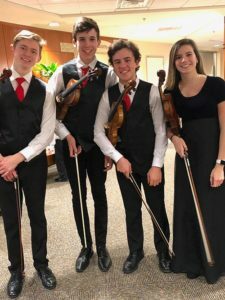 Each year, AUSTE partners with area hospitals, nursing homes, and patient support facilities to provide students with a means of giving themselves and sharing their gift of music with others. 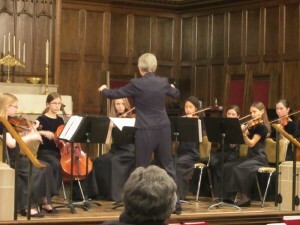 Festival concerts, international music tours, and other special events provide students with unique opportunities to experience music in a wide variety of settings and locations. This experience helps students broaden their perspective and deepen their appreciation for music.